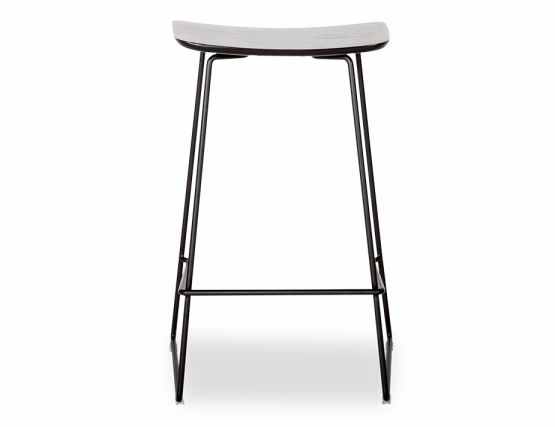 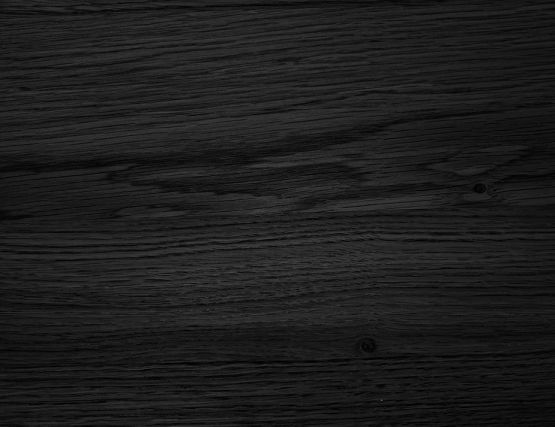 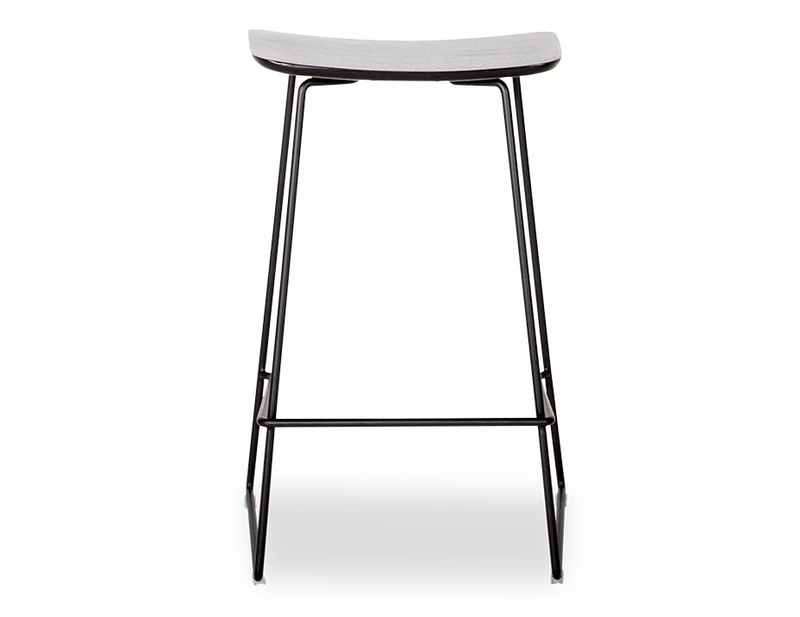 With an artful balance of coolness and warmth, the Winnie modern bar stool features a chic, minimalist design that blends a slender, sturdy and durable steel sled style frame with a gently curved black stained solid oak seat. 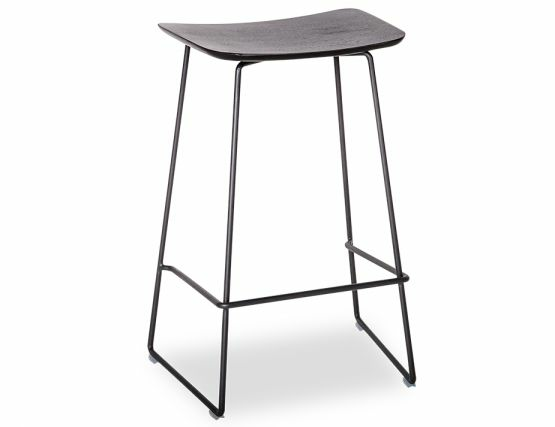 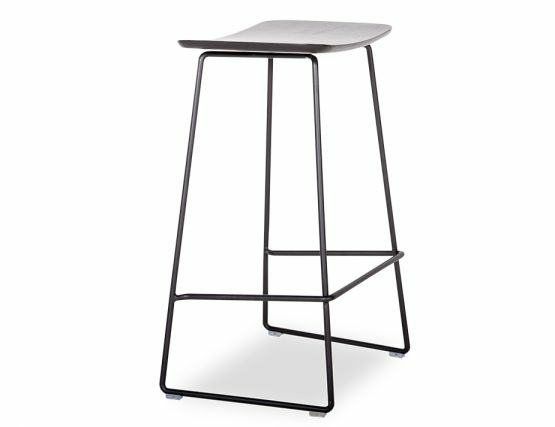 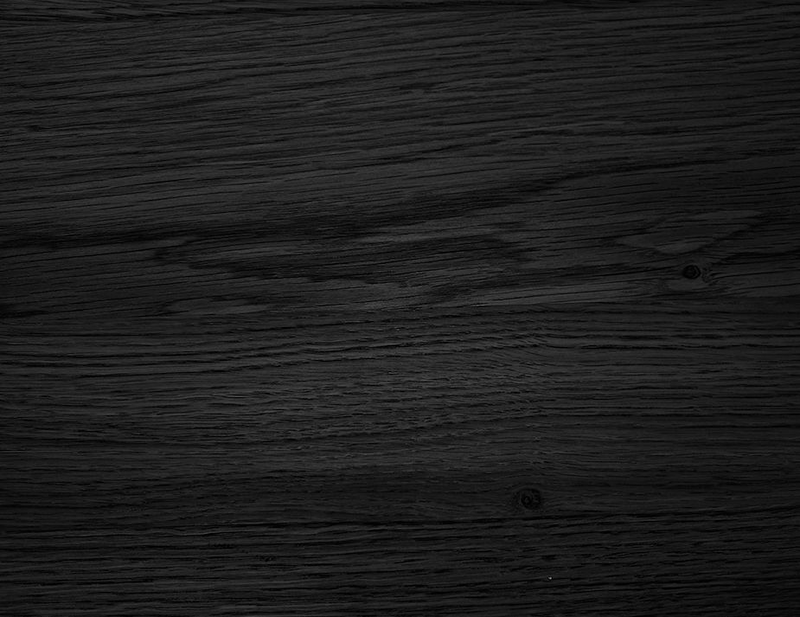 Every detail of this black modern kitchen stool has been attended to. 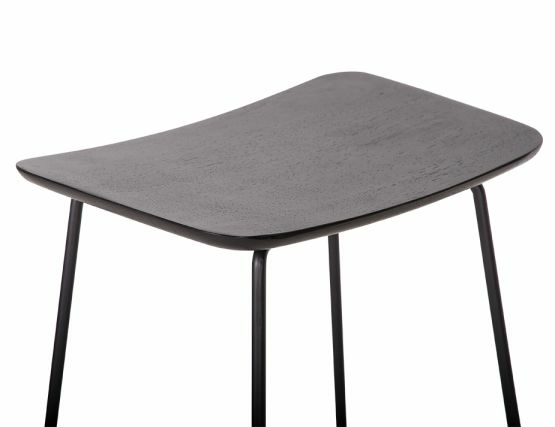 From the seat, molded into a subtle slope for comfort to the built-in footrest providing stability and extra support to the glides that lend balance and protect your floors. 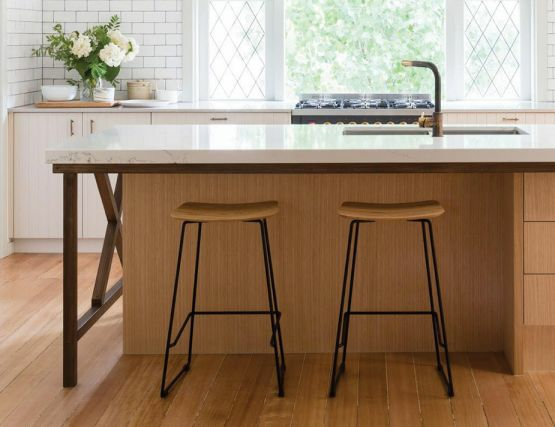 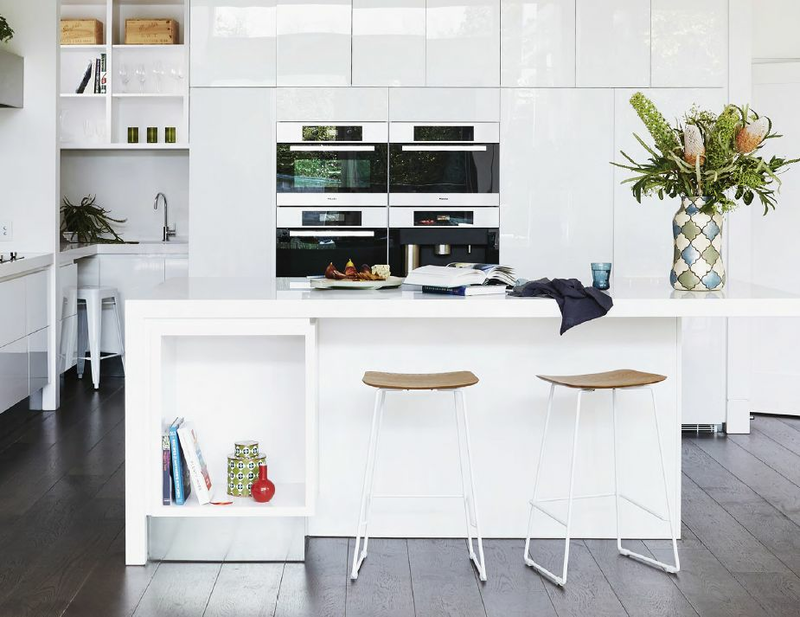 The all black look of this kitchen stool looks modern and dramatic without being ornate or fussy. The Winnie is offered in a variety of configurations but here you see it with a black factory painted steel frame and black stained European oak seat. 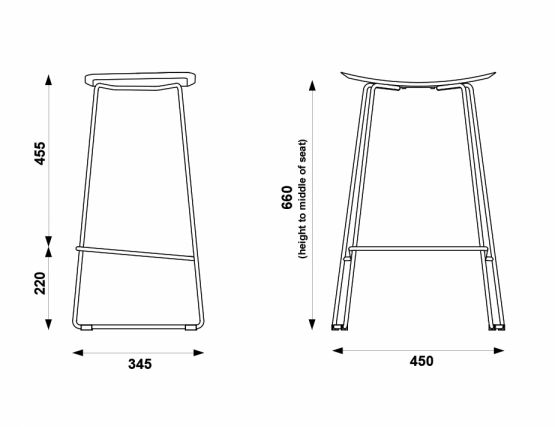 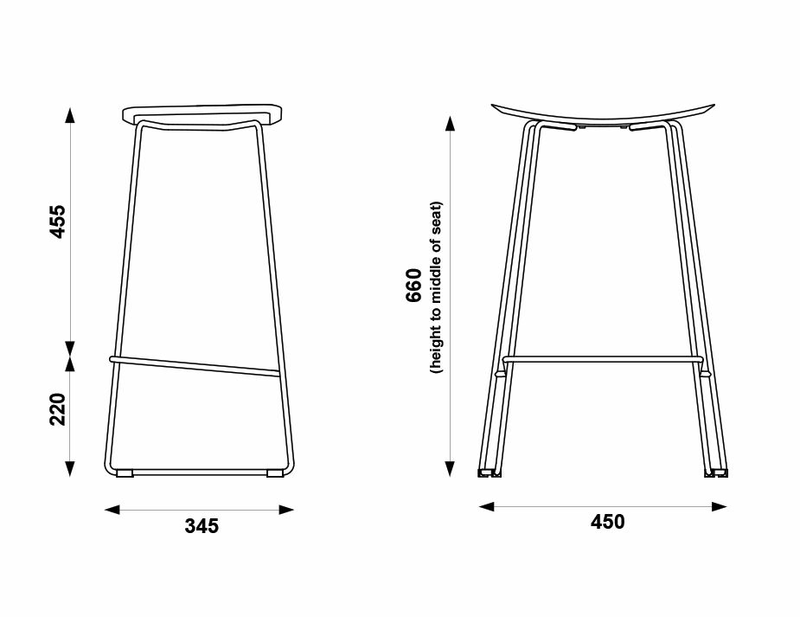 The clean, minimalist form is perfect for creating a light, open look while the steel frame ensures a lasting strength. 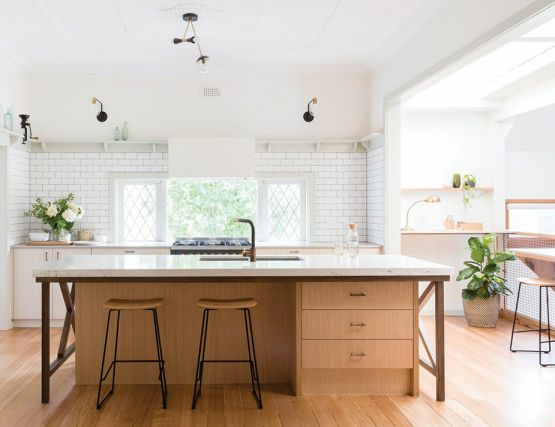 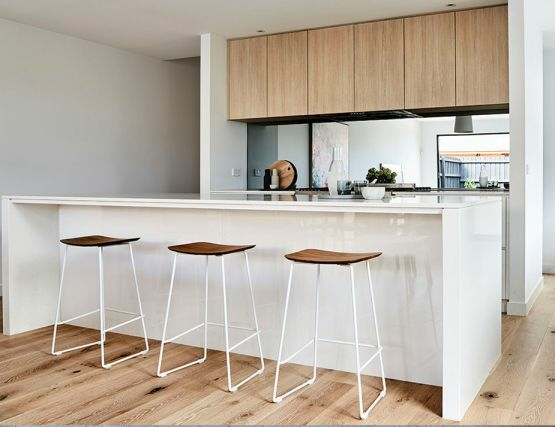 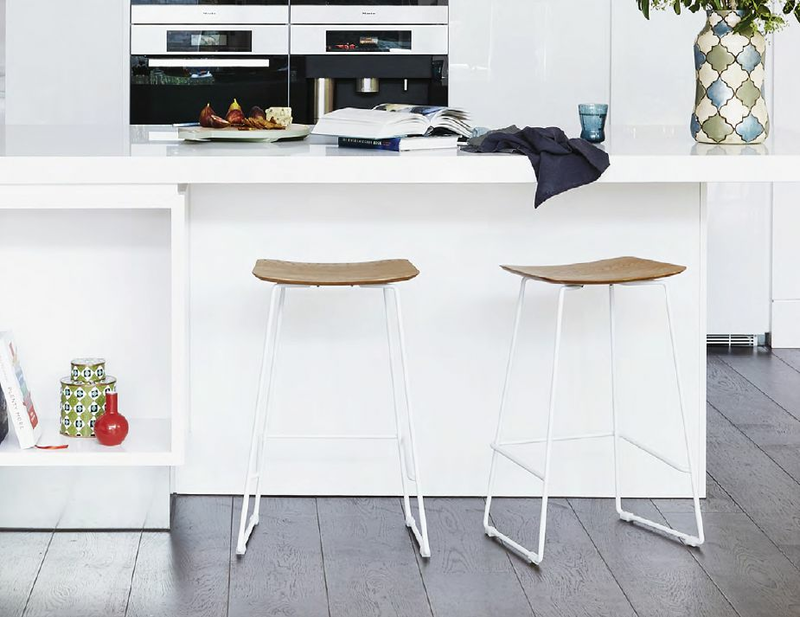 Update your kitchen stools, the stools of your breakfast bar or island with these designer oak barstools from Glid Studio.